This website may provide links or access to other Internet websites. Maryland Avian & Exotics Veterinary Care does not control these sites, and you access them solely at your own risk. Maryland Avian & Exotics Veterinary Caredoes not endorse or approve any products or information offered at sites you reach through this website. We encourage you to read the privacy statements of other websites when you leave our website. Maryland Avian & Exotics Veterinary Care reserves the right to impose limits on certain features or restrict your access to parts of or the entire Site and the Content, products and services made available through the Site, in its sole discretion and without notice or liability. 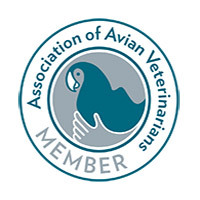 Maryland Avian & Exotics Veterinary Care also reserves the right, in its sole discretion, to terminate your account, membership registration, access or use of the Site and the related services or any portion thereof at any time, without notice. Upon termination, you will have no account or similar membership rights to the Site. Our proprietary rights, disclaimer of warranties, indemnities, limitations of liability and miscellaneous provisions shall survive any such termination. We may provide notice of termination, if at all, by regular mail or email. Your privacy is important to us. See our Privacy Statement for information on the privacy and security practices of Maryland Avian & Exotics Veterinary Care and the Site. Using the Site to violate anyone’s privacy rights (e.g. 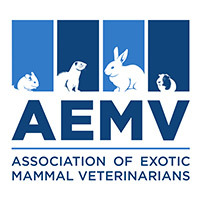 distributing unwanted commercial solicitations), to infringe on intellectual property rights (including copyrights and trademark rights), to harass or defame others, to promote hatred towards any group of people, or otherwise to publish or disseminate views or opinions which are, in the opinion of Maryland Avian & Exotics Veterinary Care obscene, offensive, or generally inappropriate. Attempting to hack the Site or any communication initiated by the Site or to defeat or overcome any encryption and/or other technical protection methods implemented by Maryland Avian & Exotics Veterinary Care with respect to the Site and/or data and/or content or programming transmitted, processed or stored by Maryland Avian & Exotics Veterinary Care or other users of the Site. Maryland Avian & Exotics Veterinary Care makes no warranties or representations about the accuracy or completeness of this site’s content. This site and the materials, information, services and products in this site, including, without limitation, text, graphics, and links, are provided “as is” and without warranties of any kind, whether express or implied. To the fullest extent permissible pursuant to applicable law, Maryland Avian & Exotics Veterinary Caredisclaims all warranties, express or implied, including, but not limited to, implied warranties of merchantability and fitness for a particular purpose, non-infringement, freedom from computer virus, and warranties arising from course of dealing or course of performance. Maryland Avian & Exotics Veterinary Caredoes not represent or warrant that the functions contained in the site will be uninterrupted or error free, that defects will be corrected, or that this site or the server that makes the site available are free of viruses or other harmful components. Maryland Avian & Exotics Veterinary Caredoes not make any warranties or representations regarding the use of the materials in this site in terms of their completeness, correctness, accuracy, adequacy, usefulness, timeliness, reliability or otherwise. In addition to the above, you (and not Maryland Avian & Exotics Veterinary Care) assume the entire cost of all necessary servicing, repair or correction. In no event shall Maryland Avian & Exotics Veterinary Carebe liable for any direct, indirect, special, punitive, incidental, exemplary or consequential damages, or any damages whatsoever, even if Maryland Avian & Exotics Veterinary Care has been previously advised of the possibility of such damages, whether in an action under contract, negligence, or any other theory, arising out of or in connection with the use, inability to use, or performance of the information, services, products, and material available from this site. These limitations shall apply notwithstanding any failure of essential purpose of any limited remedy. Because some jurisdictions do not allow limitations on how long an implied warranty lasts, or the exclusion or limitation of liability for consequential or incidental damages, the above limitations may not apply to you. Maryland Avian & Exotics Veterinary Care is not liable or responsible for any User Material provided by its users or other third parties for use on the Site. Contributions to this Site by third parties do not necessarily represent the view or opinions of Maryland Avian & Exotics Veterinary Care. 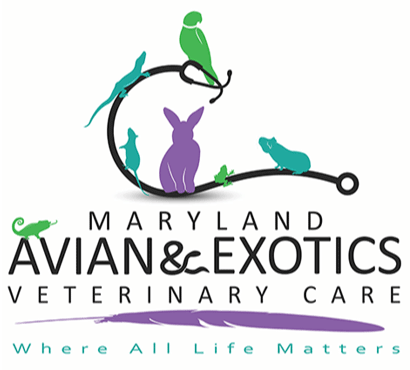 Maryland Avian & Exotics Veterinary Care may not preview user content before it appears on the Site. Users can be held liable for any illegal or prohibited user content they provide to the Site, including among other things, infringing, defamatory or offensive materials. Maryland Avian & Exotics Veterinary Care reserves the right, in its sole discretion, to reject, refuse to post or remove any posting (including, without limitation, descriptions, comments, images or videos) by you, or to deny, restrict, suspend, or terminate your access to all or any part of the Maryland Avian & Exotics Veterinary Carewebsite, blog or social media channels at any time, for any or no reason, with or without prior notice or explanation, and without liability. Maryland Avian & Exotics Veterinary Careexpressly reserves the right to remove any or all of your images, comments, videos and account and/or to deny, restrict, suspend or terminate your access to all or any part of the website if Maryland Avian & Exotics Veterinary Care determines, in its sole discretion, that you have violated this Agreement or pose a threat to Maryland Avian & Exotics Veterinary Care and/or its Users. 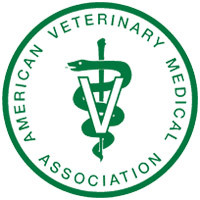 All content and collective work comprising the Site, including information, articles, data, software, photographs, graphs, videos, typefaces, graphics, music, sounds and other artwork and material is protected by copyright, trademark, patent or other proprietary rights under United States and/or international laws and held by Maryland Avian & Exotics Veterinary Care and/or the original creator of the material, including Maryland Avian & Exotics Veterinary Care’s affiliates, partners, suppliers, and/or visitors or users of the Site who have contributed material to the Site (for more information, see Contributions to this Site; Content and Submissions below). These rights are valid and protected in all forms, media, and technologies existing now or developed in the future. 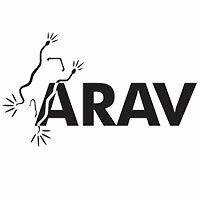 All trademarks, service marks, logos, slogans, domain names, and trade names are the property of their respective owners and are licensed to, or otherwise used with permission by, Maryland Avian & Exotics Veterinary Care. All intellectual property used on the Site may not be reproduced, copied or otherwise manipulated in any manner without express, written permission of the owner. Maryland Avian & Exotics Veterinary Care disclaims any proprietary interest in intellectual property other than its own.